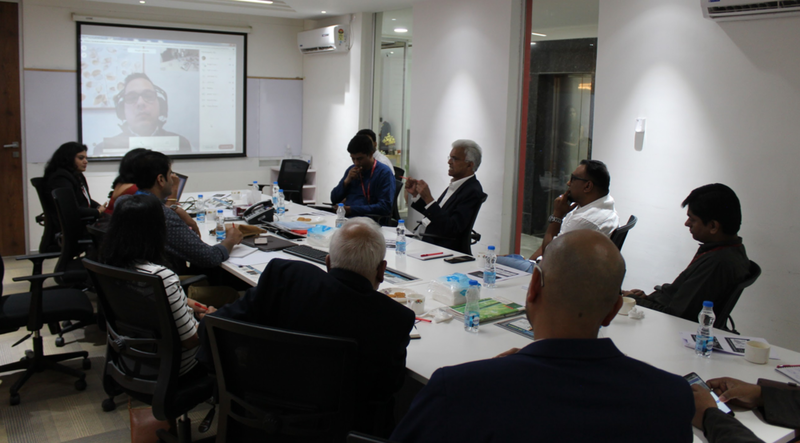 Prakat leadership and FinTech Connector Community Partners - Anu Biswas, Abhik Biswas, and Krish Srikant with the round table participants in Bangalore. On Saturday, January 19th, FinTech Connector had the honor of participating in a live and virtual event to kick off FinTech Connector in Bangalore, India. The event was organized by the Prakat Solutions leadership and FinTech Connector Community Partners - Anu Biswas, Abhik Biswas, and Krish Srikant. For FinTech Connector this was a significant milestone and an event that we have been planning for sometime now. FinTech Connector Community Partners that participated on the call to welcome the Bangalore Fintech Community. From my perspective, it was an absolute pleasure to participate via Webex from 8,300 miles away at 7 AM on a Saturday morning. More importantly, I was pleased to see the team of Community Partners that joined from different cities to participate virtually in this event. One of our Community Partners, Mallika Ramamurthy was up at 4 AM as she joined from San Francisco, USA. Welcome banner outside the Prakat offices in Bangalore. 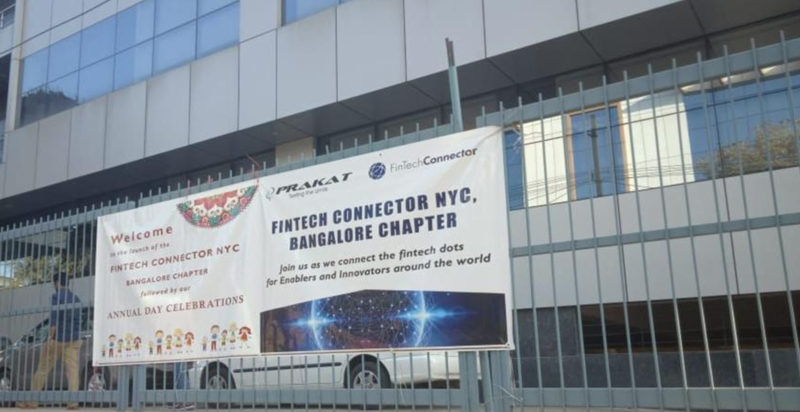 Before Saturday, planning for this event started back in November 2018 when Anu, Abhik, and Krish visited New York and met with me to discuss how we can launch FinTech Connector in Bangalore. Furthermore, they wanted the event to be more than just a kick-off networking event, they wanted to discuss some relevant topics with executives and thought leaders around increasing the visibility of India's tech talent via FinTech Connector and introducing them to the wider fintech ecosystem. This was going to be a solid premier kick-off event. Discussion on how to connect India’s tech community with the global fintech community. After a couple of weeks of discussions and planning the idea was to have a smaller round table meeting before Prakat's Annual Day Celebrations. The round table would be open to invited financial services and technology leaders with a vested interest in increasing India's fintech sphere of influence. How to position India's tech talent via FinTech Connector and promote to the global fintech community? How to move India from a service based offshore location to a tech-enabled global innovation center for fintech? How to introduce cutting edge fintech innovation to the Indian community to increase financial services and financial inclusion? Clearly, the topics above would need more than a 1.5 hour session to cover them thoroughly and to establish the required roadmap to execute. Nevertheless, Krish kept us on point and we agreed that the next step will be to organize a small team to start putting the roadmap in place to execute on the key objective of India as a strategic innovation center in the evolution of the fintech ecosystem. I would like to take this opportunity to once again thank Anu, Abhik, and Krish for organizing an impactful premier event. 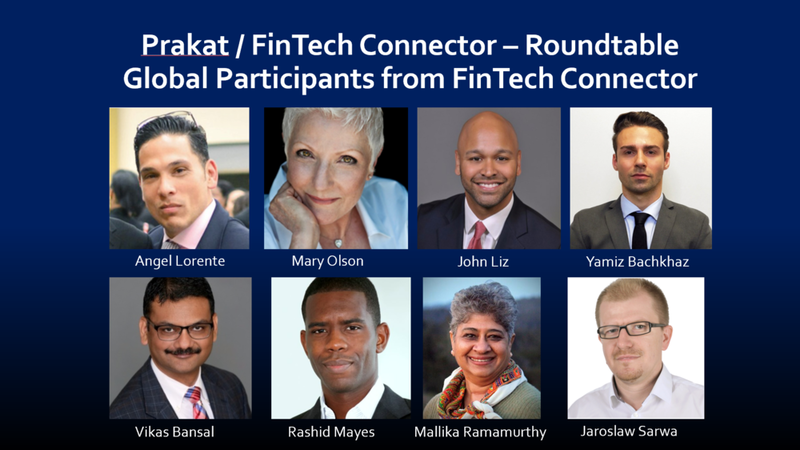 Also, thanks to the FinTech Connector Community Partners that participated and for your continued support on our journey to connect the global Fintech community - Mary (Co-Founder), John (NYC), Yamiz (NYC), Rashid (Washington DC), Vikas (Chicago), Mallika (San Francisco), and Jaroslaw (Warsaw). Finally to the round table participants from Bangalore, thank you for opening up and sharing your ideas, concerns, and opportunities for a path forward to evolve FinTech Connector in India. Prakat is a technology solutions company specializing in Test Engineering, Accessibility Engineering, Product Engineering and Application Modernization. Prakat partners with its clients to create a transparent, value-based relationship, leveraging the extensive experience of its team to provide innovative solutions in a wide range of technology domains that enable our customers to successfully attain their business goals. Prakat work culture is truly based on a belief, “We believe in what we do; We do what we love”. Prakat is an ISO 9001 Certified Company with several Fortune 1000 customers. With its main Engineering center in Bangalore, India it also has offices in Fort Worth and Denver. The Prakat team provides end to end Product Engineering services across various domains – Banking & Financial Services, Telecom, Retail, Healthcare, Manufacturing, Legal and IT Infrastructure.